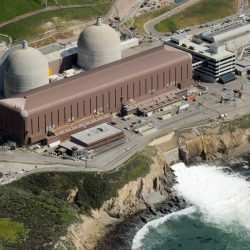 The World Business Academy asked the California Supreme Court on Monday July 23, to weigh in on its lawsuit to force Pacific Gas & Electric (PG&E) to study the environmental and human health dangers stemming from continued operation of the Diablo Canyon Nuclear Power Plant in Avila Beach. The Academy filed a Petition for Review with the Supreme Court in its ongoing lawsuit against the State Lands Commission and PG&E, operators of Diablo Canyon. Academy attorney J. Kirk Boyd said PG&E refuses to inspect the welds at Diablo Canyon, just as they refused to properly inspect the welds on its San Bruno gas pipeline that exploded, killing 14 people and destroying a neighborhood. A federal criminal indictment led to PG&E’s conviction for five felonies for disregarding the public’s health and safety. “In our new petition to the Supreme Court, we make two points,” Boyd said. “First, we want the court to take the case because the CEQA public review process cannot be circumvented or undermined with a ‘business as usual’ exemption,” Boyd said, referring to the state appellate court’s decision earlier this July to give Diablo Canyon an exemption from environmental review under the California Environmental Quality Act because it was an existing facility and nothing was changing in its operations. No environmental review has ever been prepared for the plant. “Second, similar to what happened in San Bruno, PG&E’s failure to do inspections is putting the people of the Central Coast, including Santa Barbara, at grave risk of a nuclear event. There are ‘coupons,’ or small pieces of metal, inside the reactor that can be easily pulled out and tested to see what the danger is to the people of the Central Coast. We want PG&E to pull a coupon now and test it for embrittlement. PG&E has REFUSED TO PULL A COUPON FOR 15 years, even after their failure to inspect at San Bruno led to the fatal explosion. We don’t want a repeat of this,” he said. We also ask that individuals, environmental groups and others to write a one page “amicus” (friend-of the court) letter to the California Supreme Court expressing those two thoughts. Letters in support of the World Business Academy’s case can be mailed to: Supreme Court of California, 350 McAllister Street, San Francisco, CA 94102-4797, citing the case number S250127. The name of the suit is World Business Academy vs. State Lands Commission and Pacific Gas & Electric. The World Business Academy also plans to launch a “Pull a Coupon” campaign. “We do not seek to shut down Diablo. We just want a coupon to be pulled and an ultrasound to be done to make sure that the people of California are safe and that what happened in San Bruno does not happen again,” Boyd said. The Petition for Review can be found here.